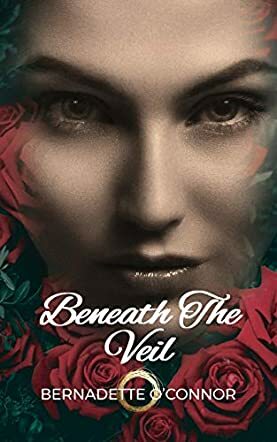 'Beneath The Veil' was gifted to me. Clara landed in my consciousness and gently shared with me her story, one that I was compelled to share with the world. I know this story, all women know this story, because even if you have never experienced abuse in the way Clara and her Aunt Maeve did, we all carry the trauma within our cells, of those women who have come before us, who have suffered at the hands of the patriarch. In Clara's story this revolves around the Catholic Church and the societal positioning of the men within the family structure. Regardless of the story or situation, the theme is the same and at a time of #metoo, I was called to go beyond here, as the sharing of a story, while healing, can also enable a woman to stay within her victim. In rising from her tragic story, lovingly guided by her Aunt Maeve, Clara seeks to inspire all women to rise from their story, reclaim their power and live life from truth. The truth for all is love, and Clara's story inspires a return to love, through compassion and forgiveness, which are by far our greatest healers and powerful creators of change in the world. She who rises transforms all and I know in Clara rising, many will be transformed. I know as I wrote, I transformed. I unravelled and I rose into the woman I had suppressed for so long, the woman I had long desired to become. “The battle between the outer and inner Self is the most challenging relationship we will ever encounter; all difficulties we experience with others is simply a reflection of the disharmony that exists within the Self.” So writes Clara’s Aunt Maeve in Beneath the Veil as she helps Clara come face to face with all the pain and darkness that has held Clara locked inside herself since being cruelly whipped at the age of 7, and later sexually abused by her own brother. As a victim of childhood sexual abuse myself, I knew Beneath the Veil by Bernadette O’Connor was a must-read. I expected a suspenseful, gripping, possibly even triggering story, but I didn’t expect the horror and revulsion I felt as Clara, and later Maeve, shared the disturbing details. Beneath the Veil is a brilliant book. So many victims of abuse are writing their stories these days; several have become therapists or healers. Many include pointers at the end of their books, but this is the first book I’ve read that actually takes one through the process of healing, seamlessly evolving from the plot line into a self-help book without being preachy. There is a spirituality, a divine essence to the process depicted by Maeve, which I gather is what the author uses in her own practice of kinesiology and advance theta healing. As O’Connor writes: “I am not my past, nor am I my future. I am me, just a girl who has become a woman and evolving into a wiser one. And as I share this wisdom with others, I hope they may be inspired to step into their own path of BECOMING." Step into your own path of “becoming”. Begin by reading Beneath the Veil. Unforgettable!